Is Worf your favorito! character on estrella Trek: DS9? Do tu prefer Worf in DS9 o TNG? who is a better klingon? Worf - A hottie o a nottie? News articulo about Michael Dorn's musings about a possible future series about Worf. A club created por capt-sheridan. Enjoy!!! 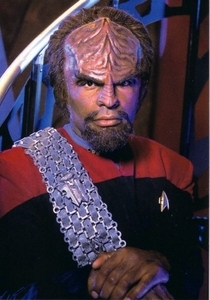 a comment was made to the poll: Worf - A hottie o a nottie?